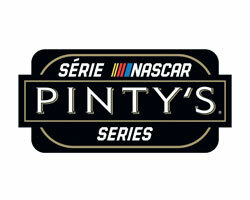 The NASCAR Pinty’s Series will make its 13th annual stop at Riverside International Speedway in 2019, and its only stop east of Quebec. See the cars and stars of Canada’s only national stock car racing series in this championship points event. Tickets will be available TBA. Unserviced free camping spaces are available at the track on a first-come, first-serve basis. There are no reserved spaces for this event. Read more information on Riverside camping information and policies. BUMPER TO BUMPER– Canada’s Parts People. Bumper to Bumper was introduced to the Canadian automotive aftermarket in 1977 and began with two stores. Over the years, the brand presence expanded to the Prairies and entered the Uni-Select fold in 2006. Today, over 100 auto parts stores operate in Western Canada under the Bumper to Bumper banner. The logo has been revamped to feature a strong and clean wordmark. Bumper to Bumper is complemented by an icon that represents two bumpers coming together, from front to back, thereby illustrating Uni-Select’s commitment to covering all parts for a wide range of vehicles. In the coming months, Uni-Select will be rebranding all of its corporate stores under one unified banner: Bumper to Bumper. In addition, the Bumper to Bumper brand is available to our 1,150 independent wholesalers across Canada, expanding the brand’s presence nationally. The brand provides a higher level of product consistency as well as enhanced merchandising, marketing and advertising programs. Bumper to Bumper is owned by Uni-Select Inc. (TSX:UNS), a leader in the distribution of automotive refinish and industrial paint and related products across North America, as well as in the automotive aftermarket parts business in Canada.